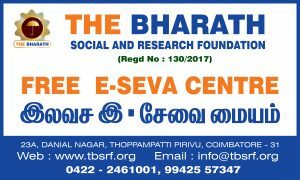 The Bharat Social and Research Foundation started a free E-seva Centre at thoppampatti pirivu, Coimbatore and opened by Swami Garishthanandaji, Secretary, Ramakrishna Mission Vidhyalaya, Coimbatore on 15th January 2018. The objective of the e-seva centre is to help the public to get their certificates online immediately through the concerned government web portals. The following certificates are downloaded from the government web portals. Nativity Certificate, Community Certificate, No Graduate Certificate, Deserted Woman Certificate, Agricultural Income Certificate, Family Migration Certificate, Widow Certificate, Unemployment Certificate, Print out of Birth Certificate for Revenue Villages, Print out of Death Certificate for Revenue Villages, Online Patta/Chitta, Online Patta Transfer, Grievance Day Petition, Income Certificate. Annai Terasa Ammaiyar Ninaivu Orphan Girl Marriage, EVR Maniammaiyar Ninaivu Widow Daughter Marriage, Dharmambal Ammaiyar Ninaivu Widow Re-marriage, Moovalur Ramamirtham Ammaiyar Ninaivu Marriage, Dr. Muthulakshmi Reddy Ninaivu Intercaste Marriage, Birth Certificate, Death Certificate and etc. To be a nationally renowned Social Service Organization. To provide quality social services and to undertake social research and extension with emphasis on application and innovation that cater to the emerging societal needs through all-round development of people of all sections enabling them to be socially responsible citizens with human values. Dr.K.S.Shivraj is University Librarian in a high-performance University in Andra Pradesh, South India and he is an Editor, Publisher, Sociologist, and founder of a startup. He has completed his B.Sc., (Chemistry), M.A., (Sociology), M.L.I.S., P.G.D.C.A., M.Phil. in Library Science. He has done his Ph.D. in Library Science at Annamalai University. He is having more than 20 years of experience in heading the Learning Resource Centre. He has contributed more than 30 papers in International and National Conference and 25 articles in the refereed journals. He is the Editor-in-Chief of two UGC approved Research Journals in Library Science, and Editor of eight UGC approved journals. He is on the Editorial Board for about ten International Refereed Journals. He was the Co-Principal Investigator for a DSIR, Govt. of India Project. He has guided four M.Phil and one Ph.D. Presently he is guiding four Ph.D. Research Scholars at Anna University. He has conducted an International Conference, few National Conferences, and National Workshops. He is the President of TBSRF. Shri.K.R.Ashok has received his Master of Business Administration from Anna University of Technology, Coimbatore. He is Assistant Manager-Operations in Barclays Shared Services Pvt Ltd,Chennai. Earlier he worked in NIIT Technologies Pvt Ltd,Bangalore, and in Investment Banking Operations of Tata Consultancy Services, He worked as Corporate Planning Manager – Sales & Marketing in Bizgram Asia Pte Ltd., Singapore. He has received the following awards for his meritorious services in his tenure in the various organizations. Awarded Certificate of Appreciation from UBS consecutively received Client Thank you award. Got Ramp award at Infosys for improving the productivity. Successfully completed the DERIVATIVES academy training. Received star performer award for the quarter at NIIT for exceeding the client’s expectations. Received thank you award from client SEI for successfully migrating the process from the United States to India. He served as Secretary for the Businex Association and as President of Entrepreneur Development Cell. He has visited USA and Singapore. He is the Secretary of TBSRF. Shri.M.Ranjith has received B.Com, M.A., (Police Administration), and PGDIR&PM from Annamalai University. Previously he had been working with Banking Sector and presently working in a famous Educational Institution in the Nilgiris District. He is the Treasurer of TBSRF. Shri.K.Durair aj has done B.Com.,MBA. He has about three decades of experience in teaching, Industry, and consultancy for Start-up development. He has 20 years’ experience in Knitwear Fashion Technology. He has mentored for more than 50 start-ups both in Universities and Colleges. He has trained more than 2000 industry people on Knitwear Fashion Technology. He is a soft skill trainer for engineering college students and executives. He is a resource person and teaching Public Administration, Ethics and Integrity subjects for Civil Services Examination. He is the Project Advisor for TBSRF. 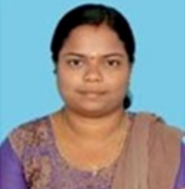 Padmavathy Ramamurthy received BE., from Anna University, Chennai and M.Tech., from SASTRA, Tanjore. She worked as Asst.Professor in an Engineering College and presented papers in National and International conferences and published few papers in reputed journals. She has conducted various skill development programmes for the benefit of the students. Divya Manigandan received B.Tech., and M.Tech from Karunya University, Coimbatore. 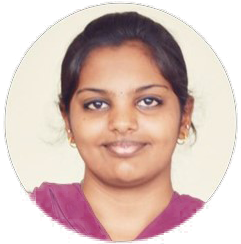 She had been a Coordinator in National Service Scheme at Karunya University.